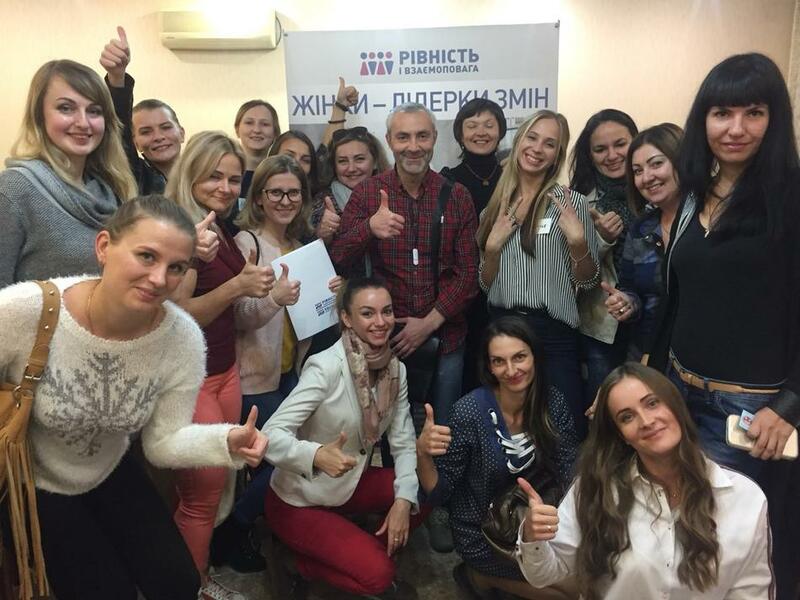 On October 12-13, the 2-day training was held for representatives of Kramatorsk city and Donetsk region. The training consisted of almost homogeneous composition of participants, both from the point of view of practical experience in implementing business processes and motivation - almost everyone knew what they expected from the training, what they lacked to implement their own project, which skills they aspire to form for further successful activity. Contacts were quickly established with the participants, a friendly atmosphere was created, which provided opportunities for everyone to ask questions and discuss. Positively perceived as theoretical material, and work in groups on the project with its subsequent presentation and protection. The vast majority of participants consider the main problem for the realization of their own business - the lack of sources of funding at an early stage. In addition, there were the problematic aspects that participants encountered in practice, such as: the selection of sales channels and customer search, accounting, business expansion, recruitment, business planning, financial planning, financial control and effective management of their own business. Particularly valuable for the participants was the experience of teamwork and new acquaintances. Participants exchanged contacts, actively shared their personal experience and knowledge with each other. On the second day of the training, an extremely interesting meeting with Yana Vyshyvanyuk, the owner of the ceramic manufacturing studio took place. Ms. Yana shared with participants not only her experience in opening a business, but also conducted a full tour of the ceramic manufacturing workshop. It was a very interesting meeting, during which participants in a friendly atmosphere discussed practical points about starting their own business. Thanks to all the participants for the expressed interest to the training and active participation!